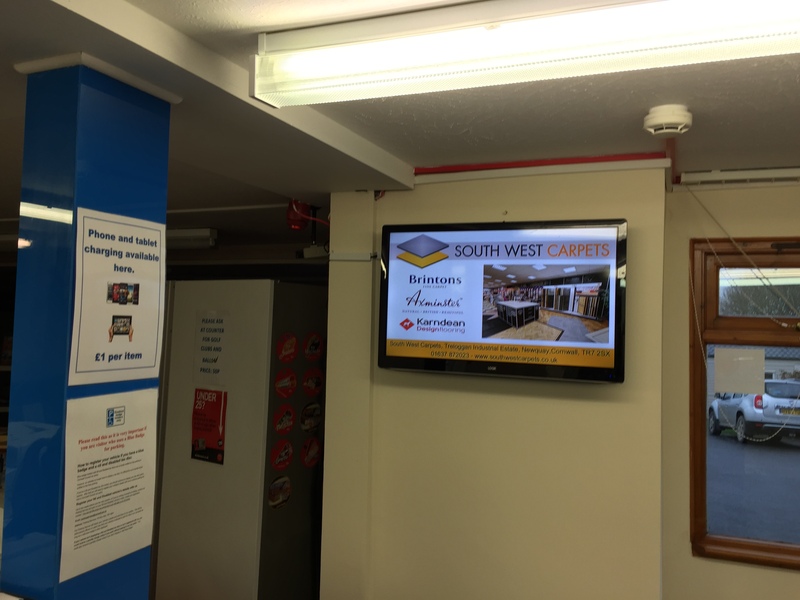 We have a 32″ Advertising screen in the reception of the holiday park. Trevella Holiday Park is an award-winning 5-star holiday park, voted one of Cornwall’s Best Holiday Parks at the 2015/16 Cornwall Tourism Awards. Very busy reception area that is also the entrance to the sites shop. Everyone who enters the shop will see the screen.